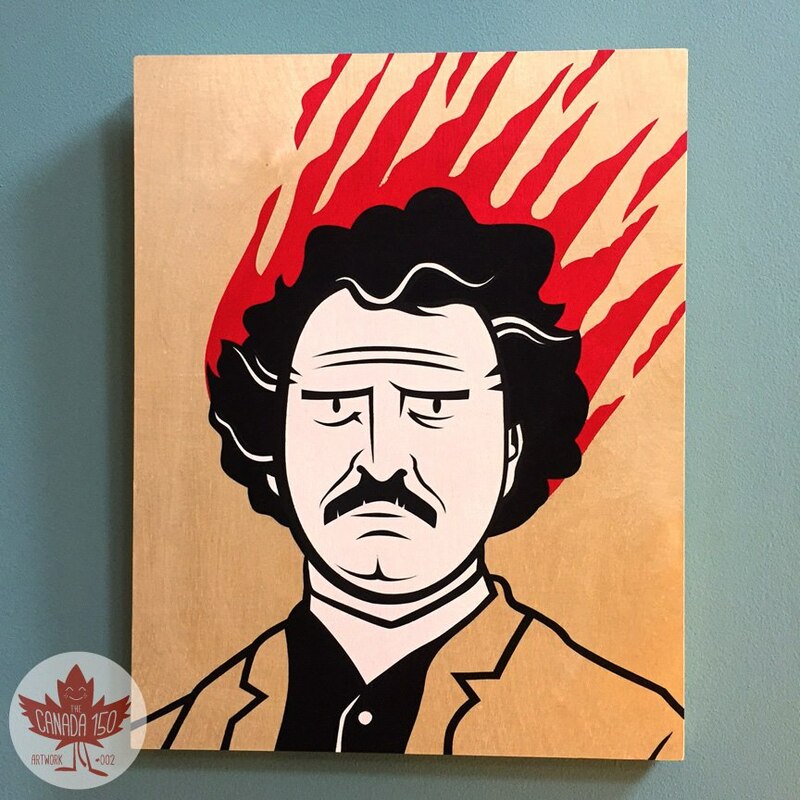 SKULLUXE: #002 "Father of Manitoba - Louis Riel" - 11"x14" acrylic on wood panel. 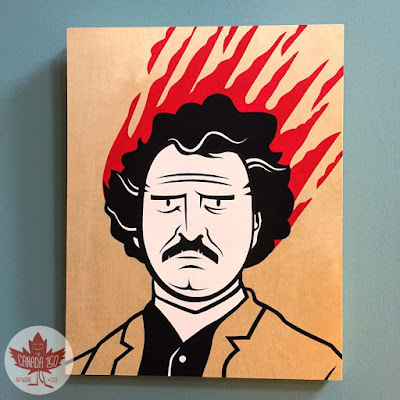 #002 "Father of Manitoba - Louis Riel" - 11"x14" acrylic on wood panel. The fiery Metis leader... Louis Riel certainly has a spot in Canada's History... although with some differing views. Was he a dangerous half-insane religious fanatic and rebel against the Canadian nation, or by contrast a heroic rebel who fought to protect his people from the unfair encroachments of an Anglophone national government?